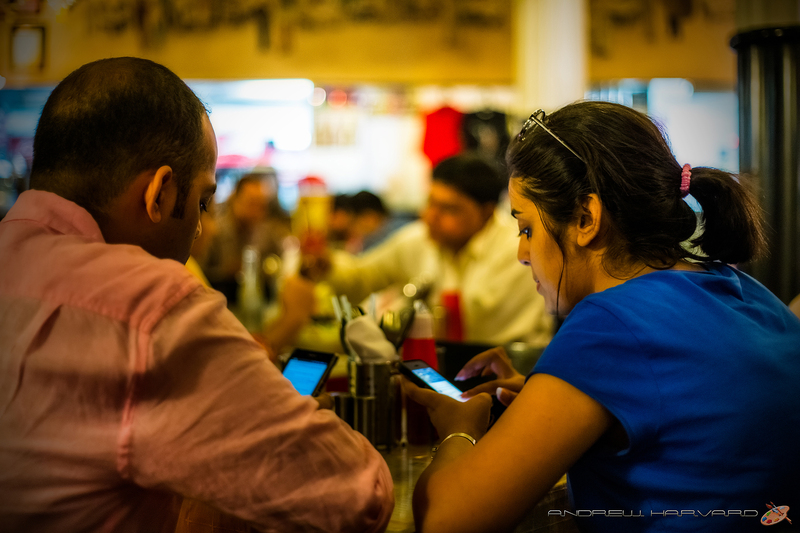 The photo below was taken inside Leopold Café during one of the many nights that we spent their sipping on ice cold beer and eating warm curry or derivatives thereof. The photo is named Leopold Love but I cannot honestly say that the couple sitting together glued to their mobile phones were or are an item. For all I know they could be friends, relatives or who knows what. The couple are seen sitting at one of the downstairs tables where it gets a little hot at times even though the fans above are flying at high speed. The restaurant does have an upstairs section which is air-conditioned that to the extent that one might possibly be able to chill some beers. If you have not been to the Leopold Café, then due two things right off each other in this order. Firstly, read the novel Shantaram written by Gregory David Roberts, and secondly, go pass a good few hours inside the cafe sipping on your favourite drink and eating the lovely food. As of 01 March 2015, I’m busy on chapter 3 of Shantaram; happily reading this long thick interesting book for the second time. 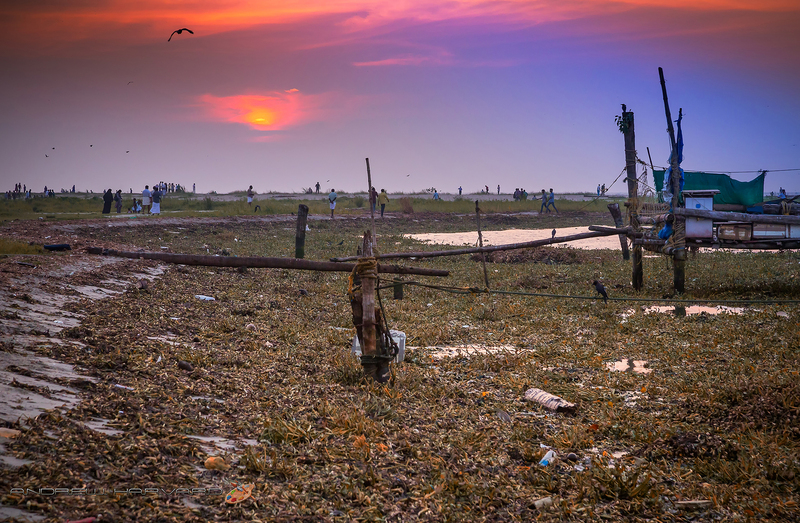 At the time of starting to work on the photo(s) below I was simultaneously “grumbling” about photographing sunsets and sunrises in India and how “hard” it is. Unlike in South Africa where you usually get a splendid fifteen minute or so warning in the sky that the sun is about to rise, in India the sun seemed to often rise without warning and only appear out of the haze once a few “centimetres” above the horizon. This is that same point it often disappeared at sunset before sinking below the horizon. Back home the sun can sink out of sight and below the horizon and then throw beautiful light back onto the clouds above. 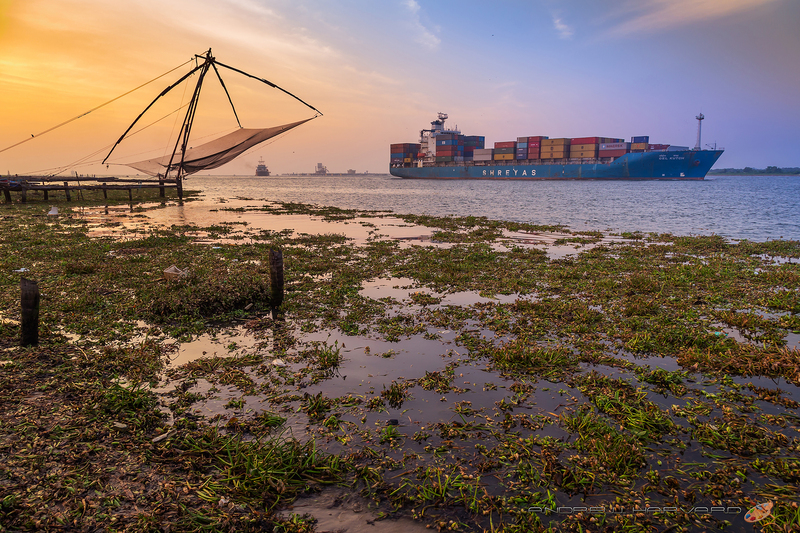 The photo(s) below was / were taken at Fort Cochin, Kerala at sunset and it was one of those lucky late afternoons where I got some action in the sky. A Chinese fishing net, rummaging dog, courting couples, hunting crows and boat entering the harbour complement the sinking sun. Fort Cochin is where we found Patrick and Mary of Heavenly Homestay, who really made us feel at home and exuded much love, respect and goodwill. It was the best place I have stayed in during three trips to India. Heavenly Homestay address: 11/639, Machenzie Garden Road, Pattalam, Thamaraparambu, Kochi, Kerala 682001, India. Phone: +91 98470 33818. To end off the section, I will include three further photos below showing the crows, one of the dogs and a ship entering the harbour. The one photo is called Crow Playground as they were a hell of a lot of crows flying and jumping around. I’m sure I’ve mentioned this before and will surely same mention again: the crows in India are very healthy birds. The other photo is called Sunset Stroll and shows some of the people, who gather at the waterfront to exercise, socialise and or just watch the sun go down. 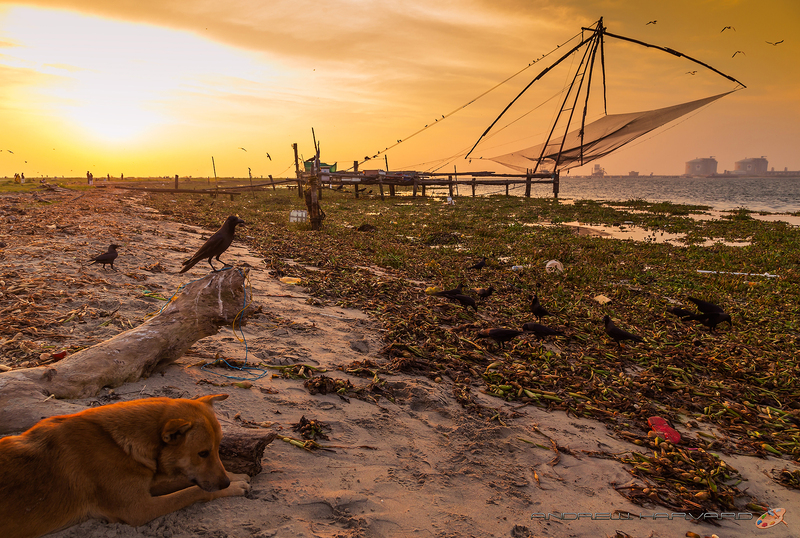 Fort Cochin could be described as the cutest little town I have discovered this far in India. Hey! Nice pics. Welcome to Mumbai – loads of photo opps here. 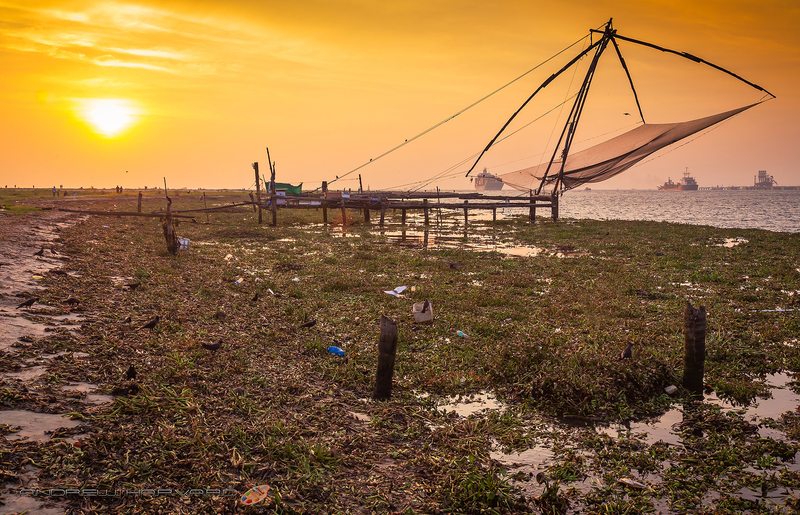 In Cochin, you could take a boat ride and click a nice pic of those fishing nets from the boat – saw some such thing a long time back.